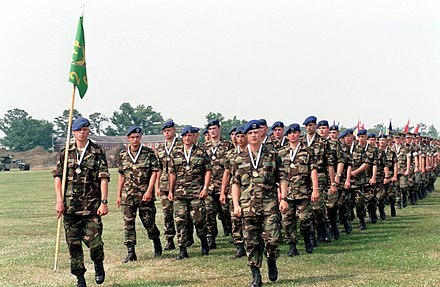 British Army tradition (Australian Army, Canadian Army, and others), this organization is referred to as a section. In most armies, a squad consists of eight to fourteen soldiers, and may be further subdivided into fireteams. RPG-7 grenade launcher on the flanks. Another soldier provides liaison or extra firepower where needed. Army Lineage Series. Office of the Chief of Military History. Archived (PDF) from the original on March 4, 2016. Retrieved April 1, 2017. Look up squad in Wiktionary, the free dictionary.